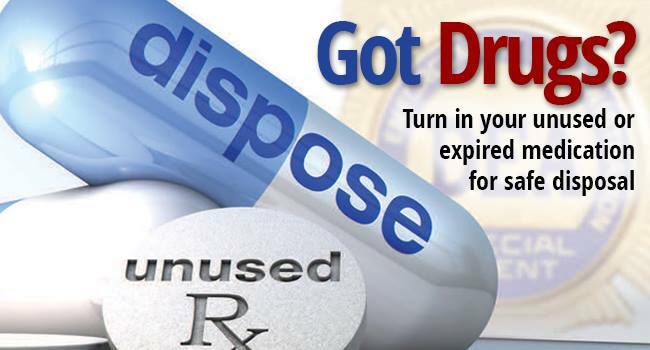 Your Fulshear Police Department will be taking back unwanted prescription drugs on Saturday, April 27, 2019 at the Fulshear Police Department located at 29255 FM 1093, Suite D from 10:00 am to 2:00 pm. We cannot accept liquids, needles or sharps, only pills or patches. The service is free and anonymous, no questions asked. Last fall Americans turned in nearly 457 tons (914,236 pounds) of prescription drugs at more than 5,800 sites operated by the DEA and almost 4,770 of its state and local law enforcement partners. Overall, in its 16 previous Take Back events, DEA and its partners have taken in almost 10 million pounds—nearly 5,000 tons—of pills.